Nourished by the Mediterranean sun and the richness of their different wine districts, the Languedoc wines all have their own personality, whether they are reds, whites, rosés or sparkling wines. They are part of the rich cultural and culinary heritage of the region. Spreading over 245,000 hectares, the Languedoc vineyards are one of the largest vineyards in France, as well as the oldest. From Nîmes to Aude, from Montpellier to Carcassonne, from mountains to bushland and sea, the vineyard landscapes pass by as you travel along the wine routes. Only one thing remains constant: the Mediterranean Sea. The harvest festival, walks in the vineyards and wine tourism events are some of the many occasions to celebrate the grape vines and winemaking. The winegrowers of Languedoc open up their wine cellars and introduce wine enthusiasts to harmonies between Mediterranean wine and the local dishes. The Languedoc is also about diversity and sharing, with a complete range of wines offered for tasting: whites, reds and rosés, sweet wines and even sparkling wines. 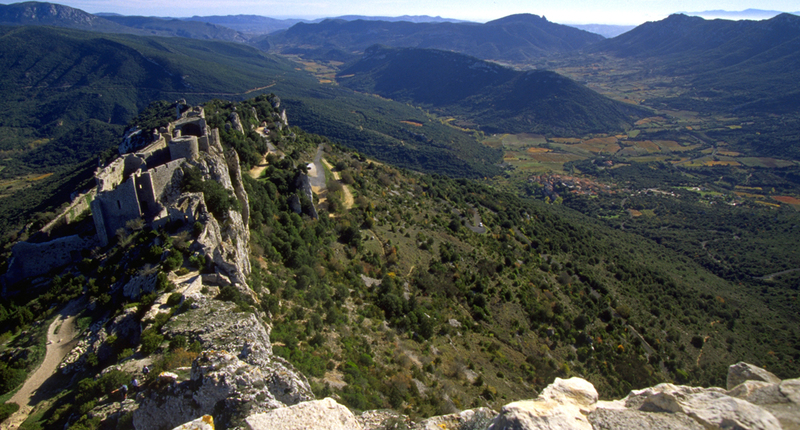 The region also possesses a number of cultural and architectural gems: the Pont du Gard and the arenas of Nîmes, the Cathar chateaux, and the city of Carcassonne. The Mediterranean climate of the Languedoc, with its mild winters and hot summers, is ideal for growing grapes. Reds, whites, rosés and effervescent wines sit side by side, with their own unique personalities. 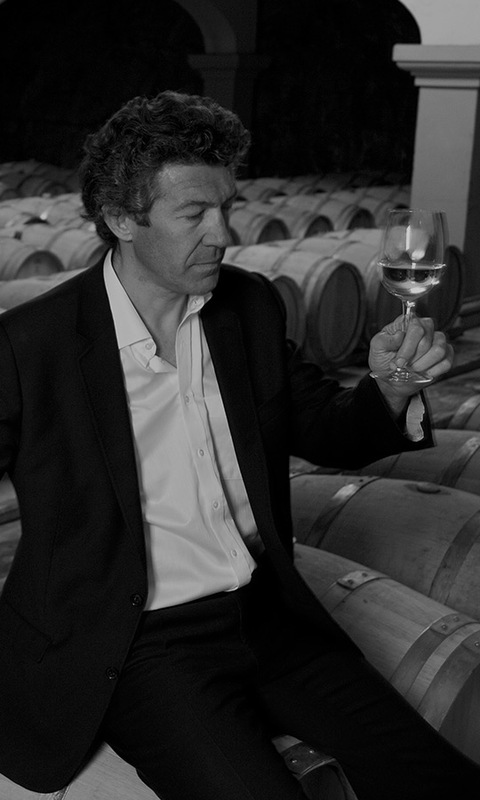 From muscat to the Blanquette de Limoux, the oldest wine in the world, no wine type resembles another. 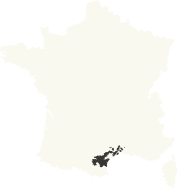 The Languedoc is also the largest wine-producing region in France. 1.Enjoy the Mediterranean climate, with an abundance of sunlight and mild temperatures all year round. 2.Discover gourmet trips and the combinations of Languedoc wines and fine foods proposed by the region’s best chefs. 3.Discover the rich regional heritage: great wines, fine foods, architecture and history all mixed together. 36 origin-approved wines (AOCs) and 20 IGPs. Red: Grenache, Mourvèdre, Syrah, Carignan. White: Bourboulenc, Grenache Blanc, Marsanne, Roussanne, Vermentino, Piquepoul.